Location, location, location. This cozy 3 bedroom house is located steps from downtown on a family neighborhood side street. 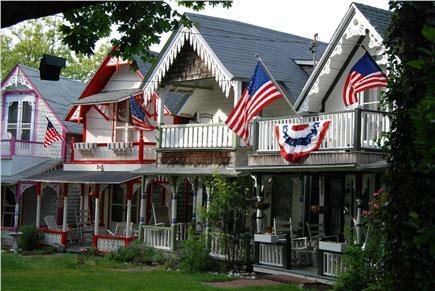 Stroll among the Gingerbread houses, or into town for groceries, dining and fun...or pack a tote and stroll to the end of our street to Inkwell beach. 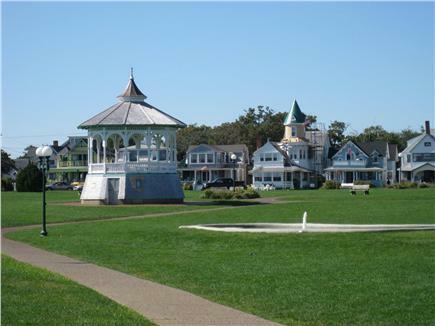 Everything is within a comfortable walking distance, including the ferry, playground, fishing pier, Flying Horses carousel, churches and shuttle buses that can take you around the island. Transferable ferry reservations may be available (at cost) for certain weeks in the summer. However, everything is so handy, you don't need a car. If you do want your car on the island, there is off-street parking for two cars in front of the house. This quaint home features a living room with flat-screen TV, comfy sectional sofa, new (2016) downstairs hardwood flooring, downstairs bathroom with shower, and 3 bedrooms and a small half bath upstairs. 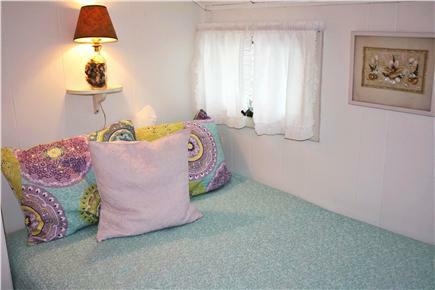 Queen bed in the master, double bed in the middle room, and 3 twins in the ''kids' room''. The kids' room also has a TV in case you need to find a space for them to go and entertain themselves while the adults unwind after a day on the beach. There's also a TV in the master bedroom. There's a private hot/cold outdoor shower off the back porch too. BBQ on the private back patio or relax on the front porch and say Hi to the neighbors as they stroll by. Window air conditioners in the living room and one of the bedrooms plus several fans are plenty to cool the entire house during hot spells. However for those cooler spring/fall evenings, there is electric heat upstairs and down. Additional availability info: check in 3 pm, check out 10 am. Additional pricing info: $170 wkly cleaning, $300 refundable damage dpst. Starting July1 subject to new 11.7% state&local tax, State and local taxes of 11.7% will apply. The house was lovely and equipped with everything we needed. Walking distance to lots of shopping & restaurants. Frank was so helpful in answering all of questions. Our family had a great time at the Gingerbread Cottage. Walking distance to the park for the kids was a huge bonus. Close to downtown but not too close. We really enjoyed walking and exploring all the houses. Thank you Frank! We have spent two summer vacations at this home. 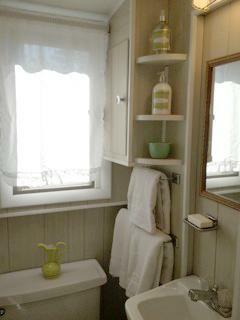 We love the coziness and convenience of the home. 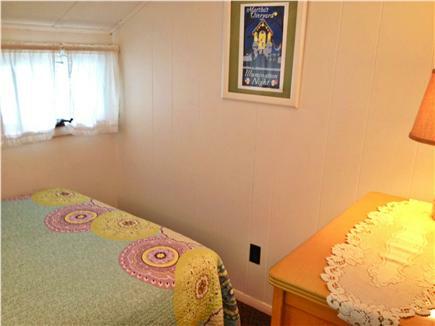 It is in walking distance to the beach, many enjoyable restaurants, and Circuit Avenue. There is a park close by for the kids to play in. Frank and Amelie are very gracious and responsive. This is a perfect place to enjoy a week or two on the Vineyard! You can't beat the location. This was two steps away from the tranquility of the gingerbread cottages and also our favorite ice cream shops on Circuit Ave. The little front porch was a lovely place to enjoy our morning coffee while the kids played inside. Frank went out of his way to make sure we were happy and comfortable. Much appreciated. We had a fabulous week in the Gingerbread cottage. Great location, adorable property. Comfortable with everything needed. We had a great week. 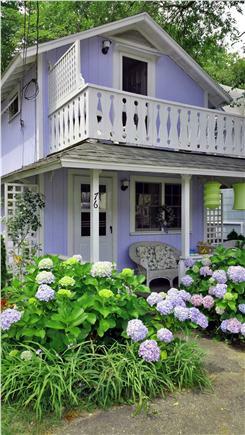 The Gingerbread House is convenient to the adorable Oak Bluffs. Convenient to getting around the entire island. The home is small but very efficient The owner was very attentive before our trip and got a nice welcome call which was lovely. I would return! Everything was comfortable and pristine!